I don’t talk about this often… but as someone who suffered severe depression, to the point of being suicidal from the age of 16, I have a very real understanding of what it can be like to have unwanted negative feelings and emotions. I was lucky to recover, to be able to learn and use my experiences to help others and of everything I’ve learned there’s one tool that I wish had been around during my darkest times. Since 2009 a new type of therapy, Percussive Suggestion™ or PSTEC™ has been rapidly gaining recognition as an extremely powerful and easy to use way to remove unwanted emotions, and their attachment to memories. Whether it’s used for anxiety. phobias, grief, anger or any other emotion, it’s like the feelings are turned down or turned off and, although it seems quite strange at first, I haven’t had a single client who didn’t get at least some benefit from just one session! In fact it’s not unheard of to resolve lifelong emotional problems in less than 15 minutes. PSTEC™ is sometimes described as an eraser for the mind. It neutralises unwanted emotions and behaviours by interrupting the usual patterns of negative responses in uncomfortable situations, using special audio “Click Tracks” and sequences of hand tapping. As a qualified PSTEC Level 1-A Advanced Practitioner I can help you quickly eliminate your negative emotions, often in just one session, either in person or over the phone or Skype. Although most people find PSTEC™ far more effective with the guidance of a trained practitioner, Tim Phizackerley always intended the basic Click Tracks to be available free of charge to self-helpers. If you need help, right now, you can download the FREE basic PSTEC package and use it right away. Just click the blue button. There is also now a huge catalogue of specialist Click Track for every kind of problem imaginable, ranging from free, basic tracks to full-blown paid systems for weight-loss and smoking. Although I always recommend you seek the help of a trained therapist or practitioner we also realise that’s not for everyone. 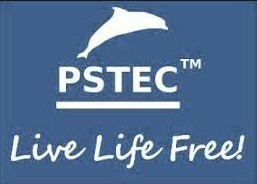 PSTEC™ has been available from http://pstec.org, for non-commercial use, since 2009 and is in use by tens of thousands of self-helpers and therapists all over the world. Following extensive adaptation PSTEC™ is now available for licensing to businesses, schools and organisations exclusively through a network of skilled agents known as PSTEC Services. In the business environment PSTEC™ is astoundingly effective at reducing anxiety when giving presentations, during interviews/interviewing, at times of pressure and when attending training courses, as well as the areas mentioned above. Within the Educational field it can usefully be applied to reduce the effects of low self esteem, bullying, exam stress anxiety and the many other unwanted emotions experienced by students. It can also be a very effective tool for dealing with issues experienced by teaching staff. TheLifeKey are the sole PSTEC Services agent for the Channel Islands and we’ll be happy to meet with you to discuss how PSTEC™ can transform your business.